After the unpredictable Boone weather caused us to reschedule on two different occasions, it was finally time for Abby + Cameron to step in front of my camera. They ventured up the mountain all the way from Charlotte, NC to meet up with me here in Boone, NC for their engagement photos. I’m so glad that we held out for better weather because it was a beautiful day! Since spring is really only beginning to emerge up here in the mountains we came up with an unconventional idea for the location of their engagement shoot. I met the couple at Horn in the West, an outdoor theater and living museum near the center of town where they host shows every summer. It’s the nation’s oldest Revolutionary War Drama according to the Blue Ridge Heritage website. Right now, Horn in the West and the Hickory Ridge Living History Museum is a ghost town. Technically, it’s closed for the season, but we picked this location because I thought the rustic details would make for a great backdrop. It also offered a lot of privacy, no one else was around but the three of us. 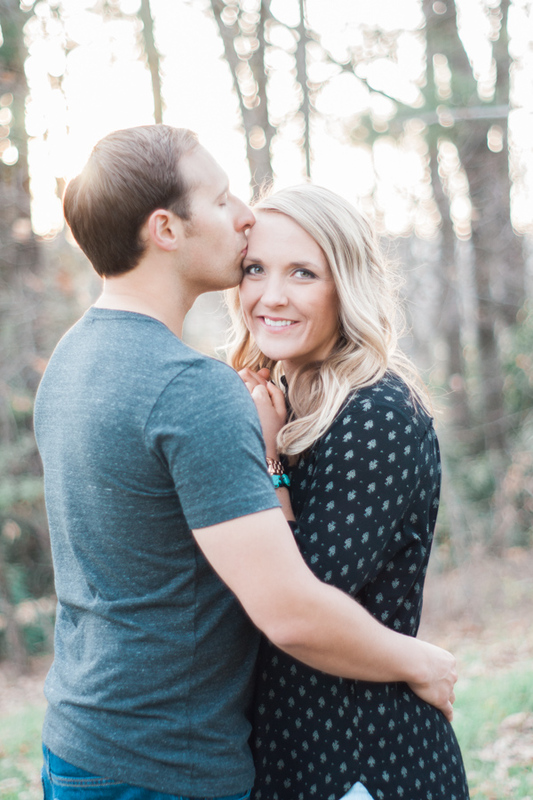 Abby & Cameron’s love story started about 6 years ago while she was still in college. He had just graduated, but a mutual friend introduced them and their life has been one awesome adventure after another since they started dating! 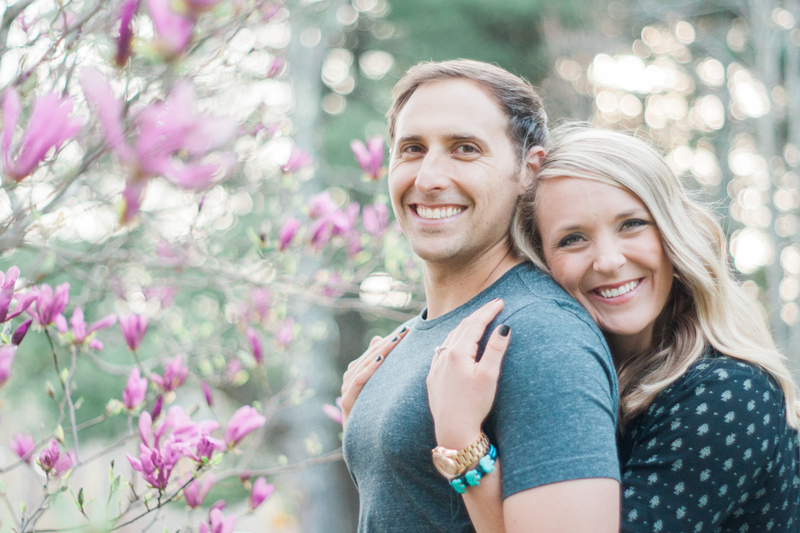 The couple is planning their destination mountain wedding for this August and it’s happening at an awesome outdoor wedding venue here in Boone called Camp Sky Ranch. 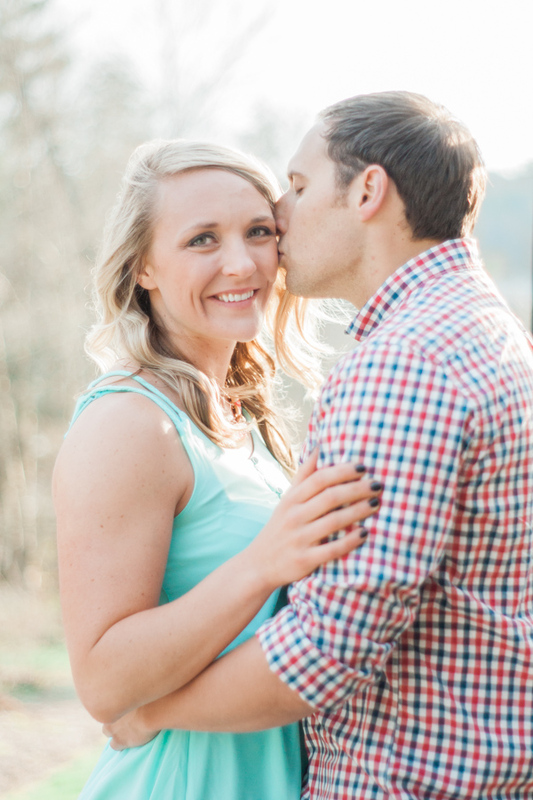 I’m so excited to be their wedding photographer as they begin their next BIG adventure! After spending some time walking around the Hickory Ridge Homestead area, we hiked over to the neighboring Daniel Boone Native Gardens. I knew that this area wasn't going to have as much appeal since everything is still bare and mostly brown. Truth be told, it looked as sad as I knew it would so we didn't stick around this part for too long before we ventured elsewhere. Our next stop on our engagement photography adventure was the Strawberry Hill Arboretum, a green space not too far from Horn in the West and where the Watauga County Farmers’ Market takes place. A short 0.4 mile hike will take you to the top of the hill where there’s an expansive stone terrace that overlooks the surrounding mountains. It’s not the most jaw dropping view to be seen around these parts but it’s just as memorable! The connection that these two share was so strong and solid. I’m honored that I was able to capture this exciting time in their lives. Abby and Cameron, you two are super awesome and I'm so glad that I had the opportunity to be your engagement photographer! I'm really looking forward to photographing your upcoming wedding soon! 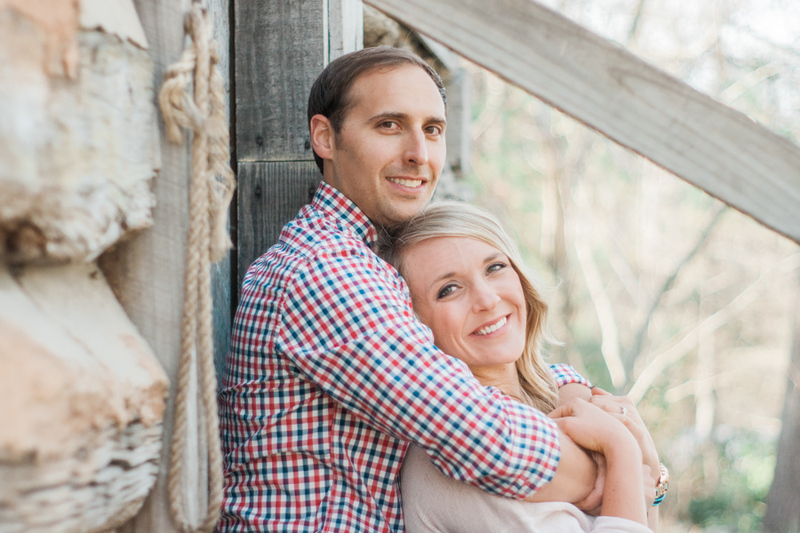 CONGRATULATIONS to Abby + Cameron on your engagement and upcoming marriage! I know you two will have the most epic adventures in life and love, and it's my wish that your connection will only grow stronger as you continue this journey together! 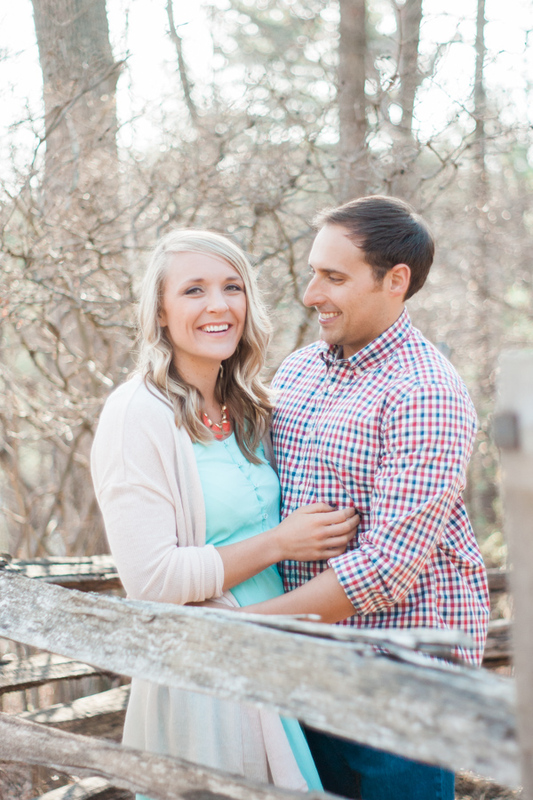 Thank you so much for choosing me to capture your adventurous engagement photos here in Boone, NC. I hope you enjoy this sneak peek while I finish up your full gallery. 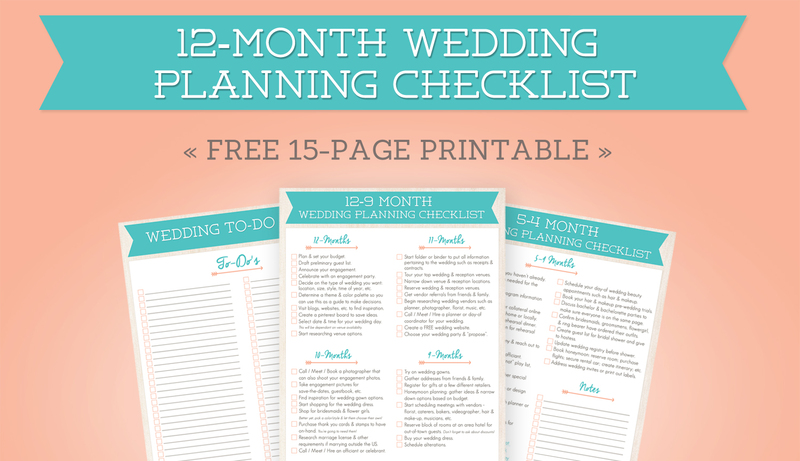 Are you newly engaged or in the process of planning a wedding? 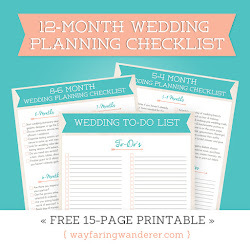 Download a FREE copy of the 12-Month Wedding Planning Checklist to jump start your planning! 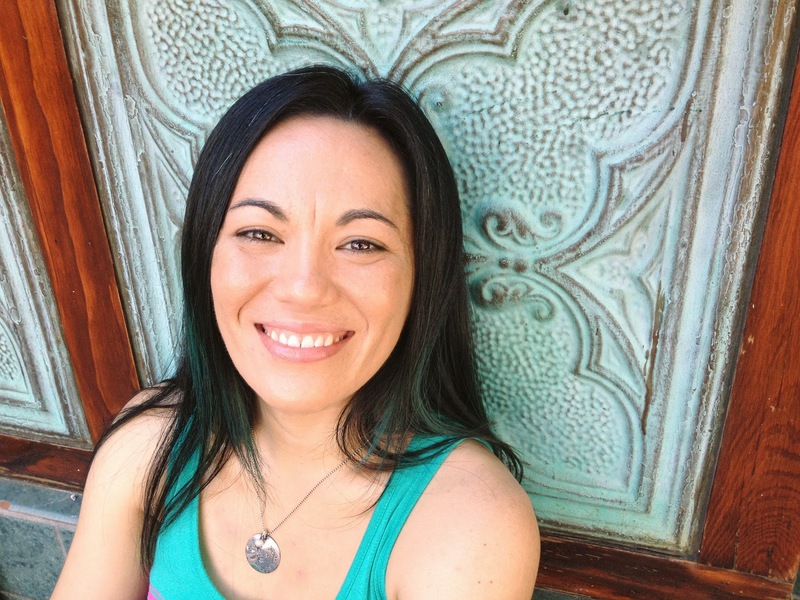 It's a free gift when you sign up for weekly emails from me (your adventurous ally). If you are already part of the tribe and subscribed to the Weekly Wander, you should have already received a download link in a previous newsletter. Let me know if you don't receive it!